Ever felt a popping sensation in your ear? Do not panic, in many cases, it may have nothing to do with your actual hearing ability. Often it is simply due to a clogged ear, which refers to a blockage in the ear canal. Symptoms of a clogged ear include reduced hearing capacity, that popping feeling in your ear, a windy sound inside the ear, and a feeling of having mucus or liquid within the ear. Clogged ears occur when something called Eustachian tube do not open and close properly. This tubes regulate and equalize the pressure between the middle ear and the pressure in the atmosphere outside the ear. Common factors that can cause clogged ears are wax buildup, air flow blockage, sudden pressure changes and sinus problems. We all know how annoying a clogged ear can be and luckily for you, we have made a list of our top remedies to unclog ears. -Pinch your nose tight to close the nostrils and keep your mouth closed. -Breathe out as if trying to exhale through a closed nose. 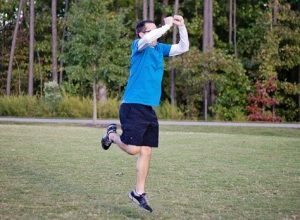 Don’t do this too forcefully as you might hurt your eardrum. There should be no pain involved. -You might hear a popping sound, which means the pressure has been relieved. The best way to prevent the feeling that your ears are plugged due to sudden pressure changes is to keep the pressure in your ears equal. 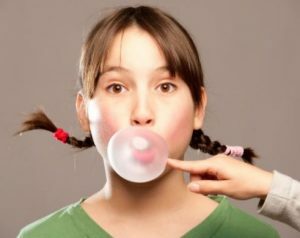 Easy and quick tips to equalize the pressure in your ears include: chewing gum, swallow and yawning. This common practices will open up your Eustachian tubes, reliving stuffiness and pain in the ear by normalizing the pressure in your ears. -Pour hot steaming water in a large bowl. -Add a few drops of tea tree oil or lavender essential oil to it. -Cover your head with a towel and inhale the steam slowly until the clogged ear opens up. You can use hydrogen peroxide to unclog ears blocked by wax excess. -Using a dropper, put two drops of 3 percent hydrogen peroxide in the affected ear. -You will hear fizzing within a few minutes. Wait 10 minutes or until the fizzing stops. -Then tilt your head to let the solution and earwax drain out. 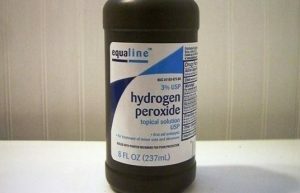 Warning: Do not exceed hydrogen peroxide as it can cause harm to your ear drums. 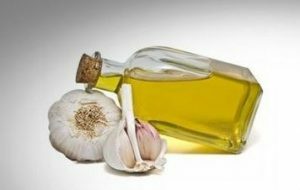 Warm garlic oil can help to loosen the congestion in your ear and the garlic properties can destroy any infection-causing germs. -Mash two cloves of garlic and let them stand for 10 minutes to allow the allicin to form. -Put the crushed garlic in a saucepan with 5 tablespoons of olive oil. -Warm for 10-15 minutes over very low heat to let the beneficial properties of the garlic infuse into the oil. -Let it cool down to skin temperature and then put it in your ear for 1 minute to help loosen any blockage or wax that is causing your ears to feel full. The warmth and the oil often offers fast pain relief as well. -Firstly, you stand on one foot. -After that, you tilt your head at the side of your plugged ear. -Now, you continue standing this position without losing your balance for a few minutes until you get rid of this problem. -You should repeat this remedy whenever you want to unblock your ears and equalize the pressure in your ears. 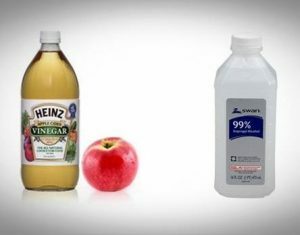 -Mix equal amounts of apple cider vinegar and rubbing alcohol. -Pour into a dropper or bulb syringe. -Lie down on by keeping the plugged ear upwards and push solution into it. -Hold a cotton pad to the ear and turn the ear face downwards. -Remain in the same position for few minutes. This process helps to drain out the fluid. -Repeat as needed to get relief.